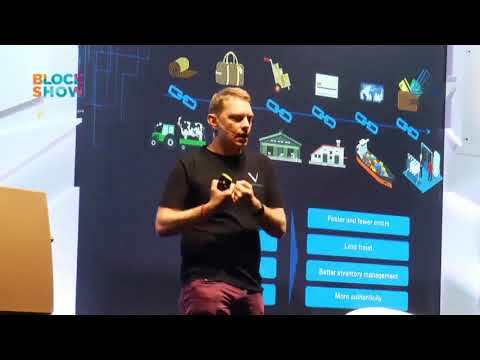 VeChain is privately held company developing a blockchain platform with the a focus on verification of the supply chain of products like luxury goods. The VeChain team is headquartered in Shanghai and was founded by Sunny Lu in 2015. VeChain is privately held company developing a blockchain platform with the a focus on verification of the supply chain of products like luxury goods. The VeChain team is headquartered in Shanghai and was founded by Sunny Lu in 2015 with offices in Singapore and Paris. The VeChain cryptocurrency token currently traded on cryptocurrency exchanges is an ERC20 token on the Ethereum blockchain denoted with the ticker symbol VEN. It aims to connect blockchain technology to the real world by providing infrastructure as well as IOT integration. VeChain currently focuses its solution to various industries such as Liquors, Luxury Goods, Auto, Retail, Agriculture and Logistics. It has established partnerships with Pricewaterhouse Coopers, DNV GL, Renault Group, KUEHNE+NAGEL, D.I.G., China Unicom. It has accumulated extensive experience in an expanding list of industries including pharmaceuticals, liquor, auto, luxury goods, retail, logistics, supply chain, food and cold storage and more. Ethereum is an open-source, public, distributed blockchain computing platform featuring smart contract (scripting) functionality, which facilitates online contractual agreements. ERC20 is a token standard describing the functions and events that an Ethereum token contract has to implement.